Tell me what you are looking for and I will find you your dream home. Clients often express feelings of being overwhelmed when it comes to purchasing a new home. Sometimes knowing where to start is half the battle. I pride myself in step by step guidance through every aspect of the home buying process. This should never feel like a daunting task! By understanding the steps towards purchasing your new home, you can ensure a smooth and seamless process with me by your side! Take a minute to read through the home buying steps below. Helping you navigate the home buying process is a privilege I look forward to. Step 1: Start Your Research Early: By researching real estate listings found on websites, in newspapers and in magazines, you can start to get a feel for the local Colorado Springs market and housing trends in specific neighborhoods you may be interested in. Make a note of particular homes you are interested in. Step 2: Determine How Much You Can Afford: Did you know that lenders generally recommend that people look for homes that cost no more than 3 to 5 times their annual household income? This takes into consideration a 20% down payment as well as a moderate amount of other debt. Keep in mind that this determination should be made based on your own financial situation. Each situation in unique! Step 3: Get Prequalified And Pre-approved For Credit For Your Mortgage: It's always a great idea to get prequalified for a loan before you start the home search process. Knowing how much you can actually spend will allow you to know the price range of homes that you should be looking at. By providing some financial information to your mortgage banker (income, amount of savings and investments), your lender will review the information and give you an idea of how much you can expect the bank to lend you. Your lender will verify your financial status and credit upon reviewing your financial documents and get you pre-approved for a line of credit. Step 4: Find The Right Real Estate Agent: The relationship you build with your Real Estate agent is crucial. As with all relationships trust is key! Expert knowledge of the home buying process, negotiating skills and familiarity with the local real estate market are all extremely important and valuable components of what it takes to be a great agent! Step 5: Shop For Your Home And Make An Offer: Start touring homes in your price range. It's always helpful to take notes on all homes you visit. The more homes you see the easier it is to get properties confused with one another. Take your time finding the right home! You should never feel rushed to make a decision! Once your fine home, work with your real estate agent to negotiate a fair offer based on the value of comparable homes in the same neighborhood. Once you and the seller agree to a price, the house will go into escrow which is the period of time it takes to complete all of the steps in the home buying process. Step 6: Get A Home Inspection: Home purchases are usually contingent on an inspection which checks the property for signs of structural damage or other things that may need to be corrected. Your agent will arrange the inspection. Both you and the seller will receive a report not he findings. Based on the findings, you can ask the seller to fix such issues. Step 7: Have The Home Appraised: Your real estate agent will arrange for an appraiser provide and independent estimate on the value of the home you are buying. The appraiser is a member of a 3rd party company and is not directly associated with the lender. The appraisal will let all parties involved know that you are paying a fair price for the home. Step 8: Close The Sale: At closing, you will sign all the paperwork required to complete the purchase. What Will Lauren Do For You? For most people, moving to a new city isn’t easy. In addition to finding a place to live, there are other factors, such as getting to know the new area. 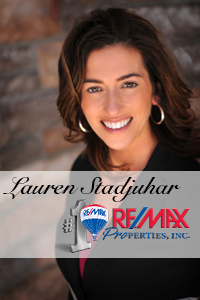 Colorado Springs, Colorado real estate agent Lauren Stadjuhar understands this and does her best to help her clients through the transition. 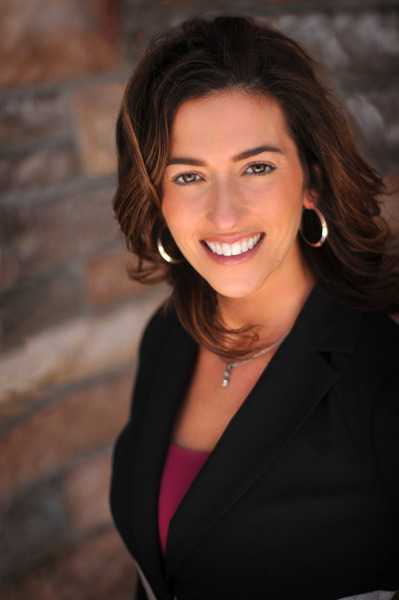 Lauren provides prospective home buyers with a launching pad for their transactions. Lauren hopes that anyone thinking of purchasing a home in the Colorado Springs area considers her to be their real estate agent.